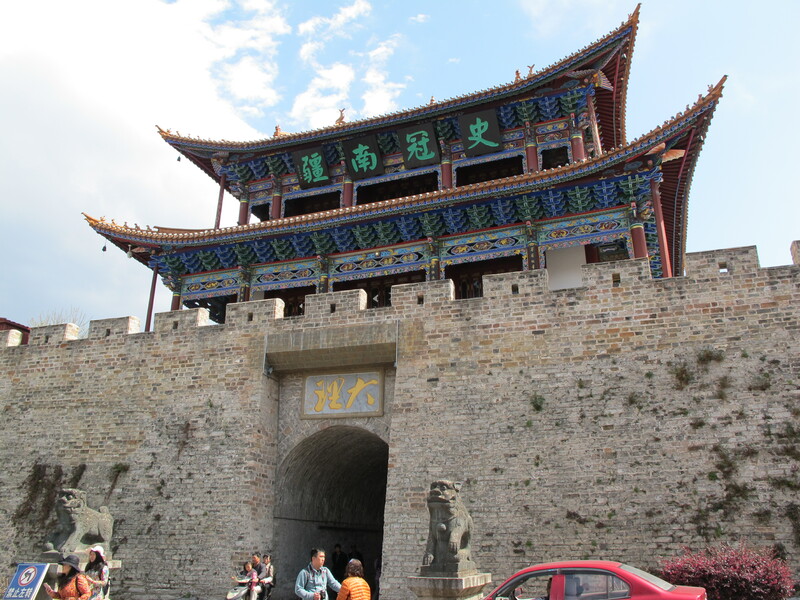 On his 1877 journey across southwestern China with Gill, Mesny spent about ten days at the historic town of Dali. 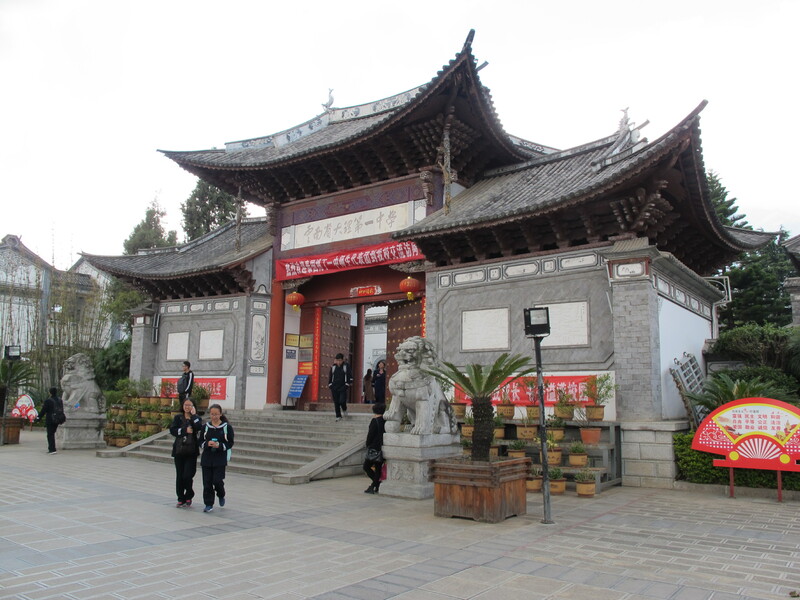 It’s in a beautiful location in western Yunnan, on a richly farmed plain between the dark green Cang Shan range to the west and “Ear-Shaped” Er Hai Lake to the east, but they arrived in pouring rain to find the main entrance locked in honour of the flood-protecting God of the North, and had to make their way through mud and rubble to the east gate. 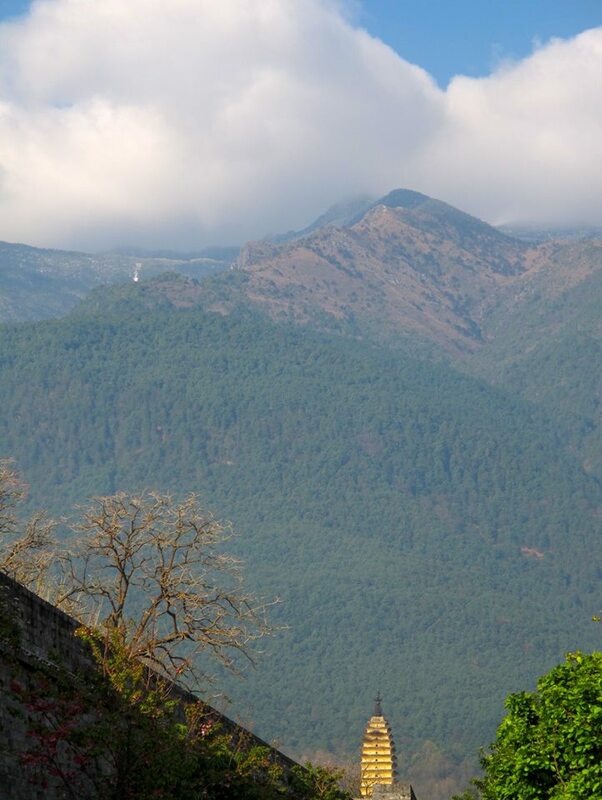 Gill described the city as “little better than a ruin”, only roughly patched up since its violent recapture from Muslim rebels four years earlier, and with houses caving in under the unseasonably heavy downpour. A solitary pagoda sat abandoned to the west of town, in the foothills of Cang Shan. Inside the walls, the regional government exams were in full swing and streets were crowded with candidates either reciting the classics in various dialects or swinging weapons around, depending on whether they were aiming for a civil or military career. Gill was amused to find that, despite the advent of modern weapons, none of the military candidates were tested on anything beyond their proficiency as archers. Dali’s sole available lodgings were withheld by an unsympathetic landlord until the authorities intervened on Gill and Mesny’s behalf, threatening the man with imprisonment. One of the highlights of their visit was meeting Yang Yuke (杨玉科), an ethnic Bai warlord who had recaptured Dali for the Chinese government in 1873. After a fierce siege, Yang had persuaded the city’s Muslim elders to surrender the city and hand over the leader of the uprising, Du Wenxiu, for execution. But shortly after his victory the provincial governor Cen Yuying arrived, assassinated the elders and unleashed the wholesale slaughter of Dali’s surviving Muslim population. Over 10,000 civilians – men, women and children – are believed to have been killed over the next three days. Despite this, many Muslims had returned to Dali since the massacre, standing out from the Han Chinese and local Bai population by their white turbans. 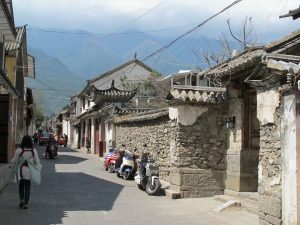 Yang proved very welcoming towards Gill and Mesny, however, sending a present of excellent mutton and later humbly walking over from his headquarters to pay them an unofficial visit at their inn – a thing no Han Chinese of his status would have done. Gill was impressed. “He is enormously rich and powerful the Chinese government are much afraid of him he keeps 200 soldiers now at his own expense he is almost a hunchback but exceedingly active, so much so that the people here have bestowed on him the soubriquet of “the Monkey” – In the war he was always at the head of his men on horseback under fire unlike the other Chinese generals who generally remain in the chair at the rear”. Despite amassing wealth and power, Yang had searched in vain for a well-bred Chinese wife, but nobody wanted their daughter to marry him. 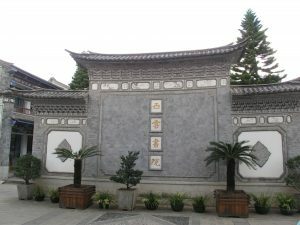 Yang Yuke’s former headquarters are now preserved as the Xiyun Academy (西云书院), part of Dali’s main middle school. It was term time so the security guards wouldn’t let me inside to see if any of the old buildings have survived the last century of wars and earthquakes, but the reconstructed gateway is impressive, with an internal “spirit wall”. 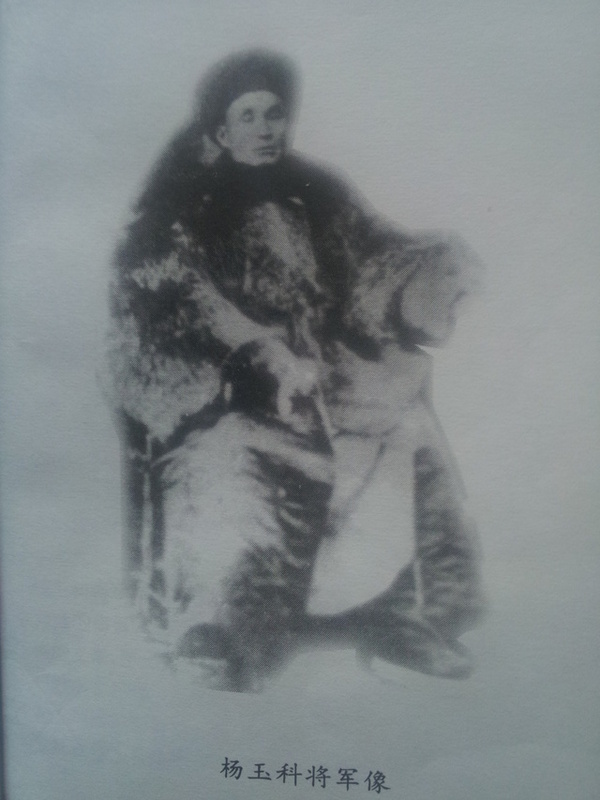 Yang was killed a decade after Mesny and Gill’s visit, fighting against the French in 1885 at the Battle of Dong Dang in northern Vietnam.